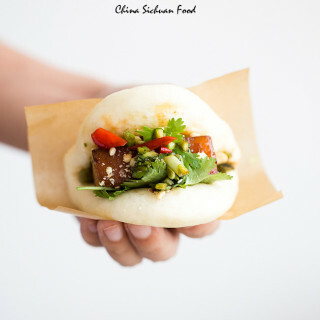 A great vegan choice of the famous Kung Pao Chicken–great flaov Kung pao lotus roots. 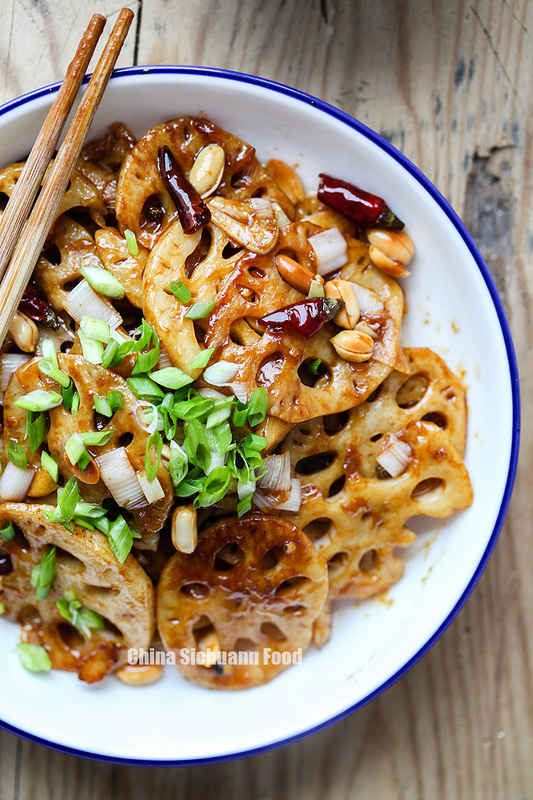 Lotus root is my husband’s favorite vegetable as he is from Hubei province, where lotus root dominate the market in this season. It is the stem of the plant lotus. You may heard of the beautiful lotus flower. 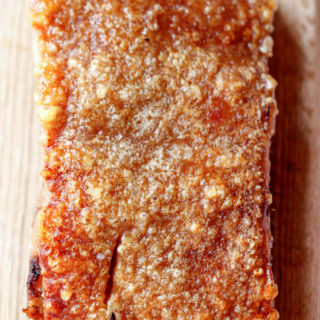 It has a crunchy texture with sweet-tangy flavor and extremely in China. It can be quite expensive due to the difficulties of pulling it out from the muds. 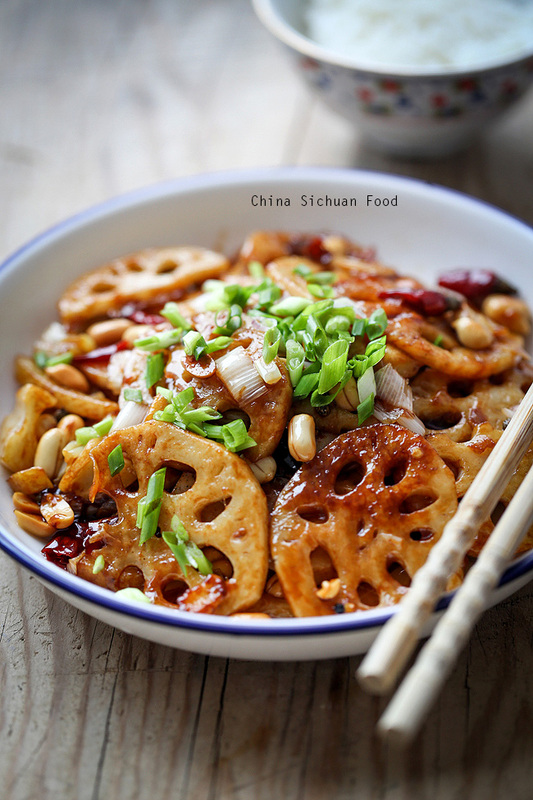 The common cooking ways of lotus root in Chinese cuisine include stir-frying, stewing in soups or make salads. 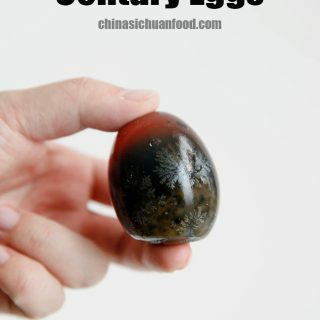 It goes unbelievable well with various Szechuan sauces. 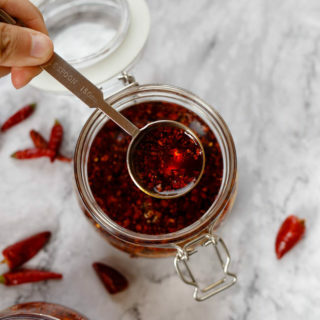 Kung pao sauce, famous because of the universal chicken dish–kung pao chicken is a well balanced spicy taste used in Sichuan cuisine. 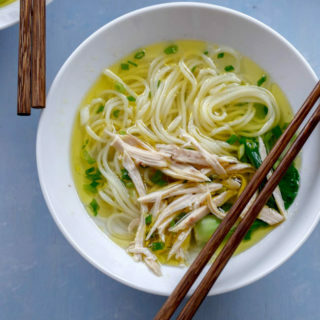 Besides kung pao chicken, we widely use it in our daily cooking with several other chicken substitutes (mushrooms, potatoes, tofu and lotus root used in this recipe). 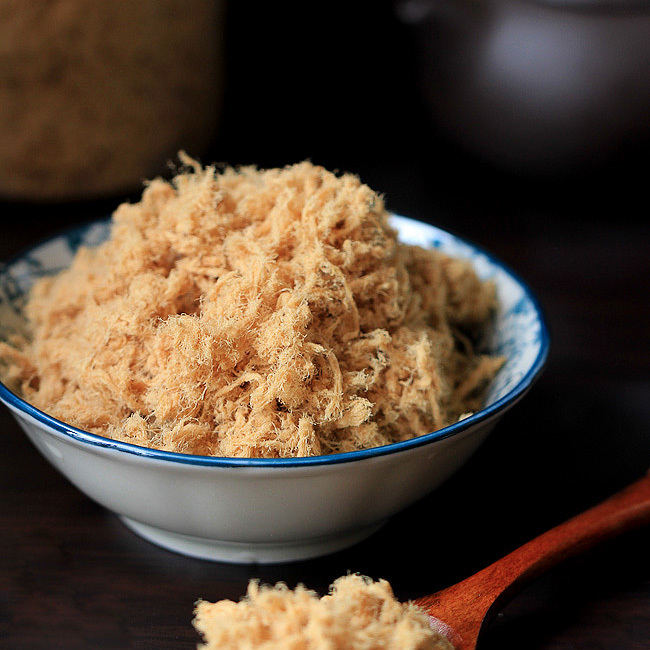 There are two ways of pre-cook the lotus root. 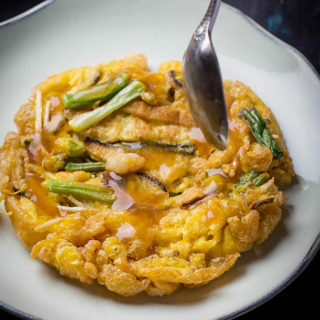 You can cook them in boiling water for 2-3 minutes and drain to get a very crunch and crisp texture of the final dish or you can choose to fry them firstly to slightly soften the slices. But I still recommend the second method as it can create very small holes on the surface, which further help to absorb the flavors. Peel the skins and then cut lotus root into 1cm thick pieces. 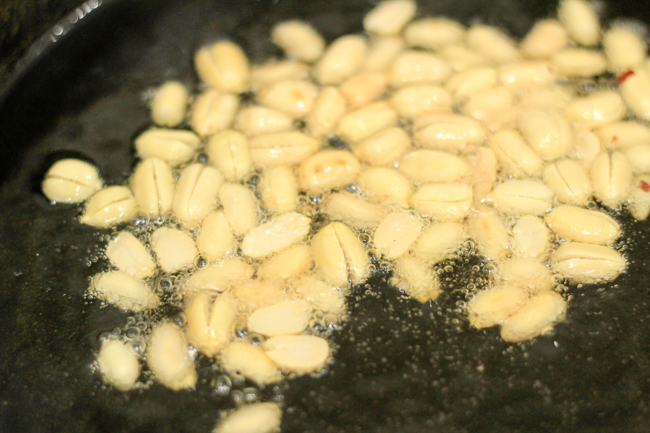 Heat up oil in wok or pan, and fry peanuts until crisp firstly. 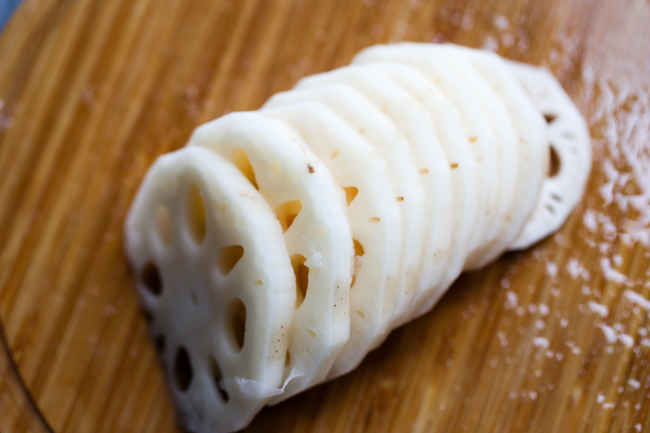 Then fry the lotus root slices for 2-3 minutes until soft and slightly browned on the edges. Transfer out and keep the oil. 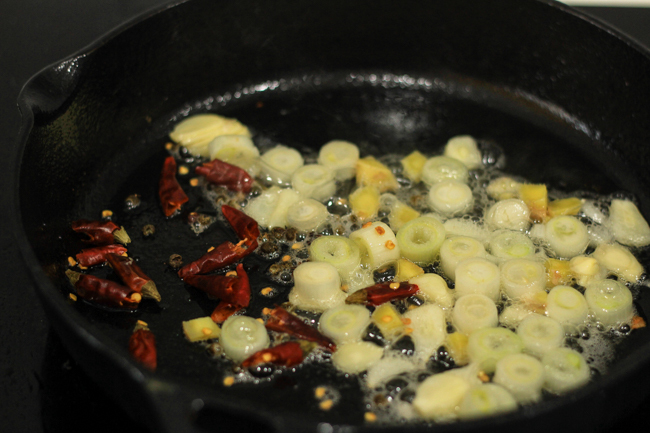 Heat oil in wok and fry garlic, ginger, dried pepper, Sichuan peppercorn and scallion sections over slow fire until aroma. 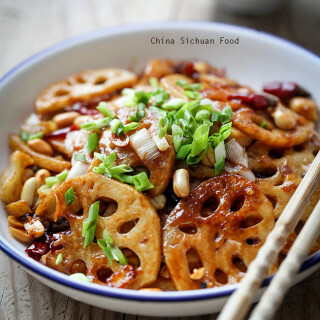 Place cooked lotus root pieces in and stir in stir-fry sauce.Simmer for 1 or 2 minutes over slowest fire; add water starch and continue cooking until the sauce is well thickened.Add toasted peanuts and give a big stir-fry to mix everything well. 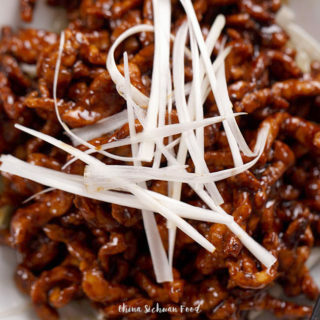 Garnish chopped scallion white and serve with steamed rice. 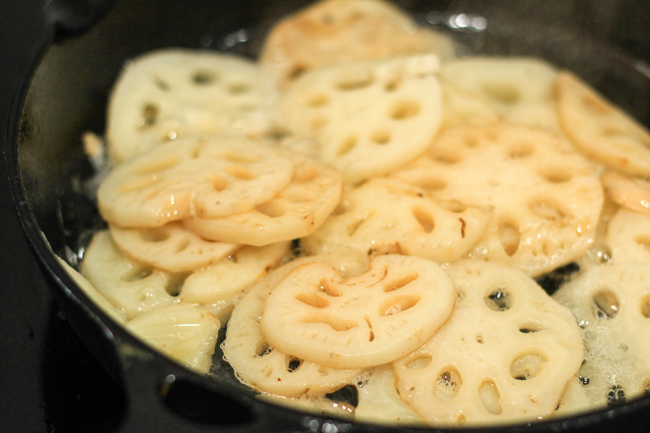 Heat up oil in wok or pan, and fry the lotus root slices for 1-2 minutes until soft and slightly browned on the edges. Transfer out and keep the oil. 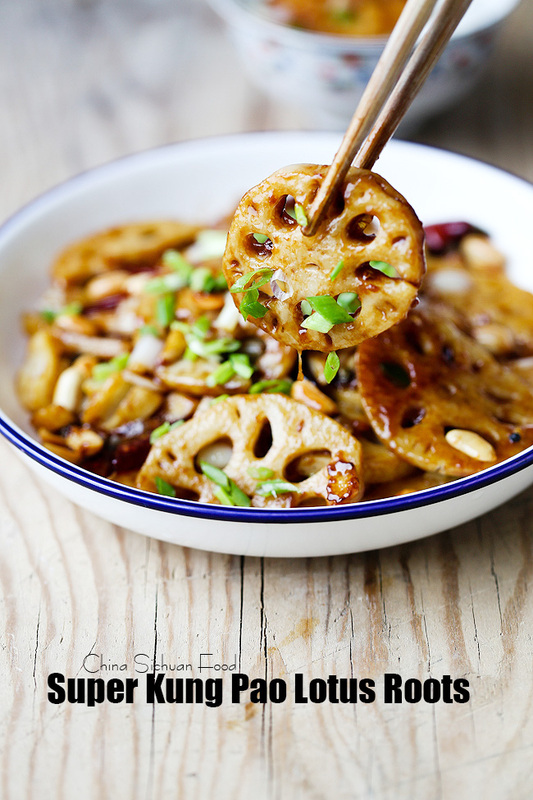 Place cooked lotus root pieces in and stir in stir-fry sauce. 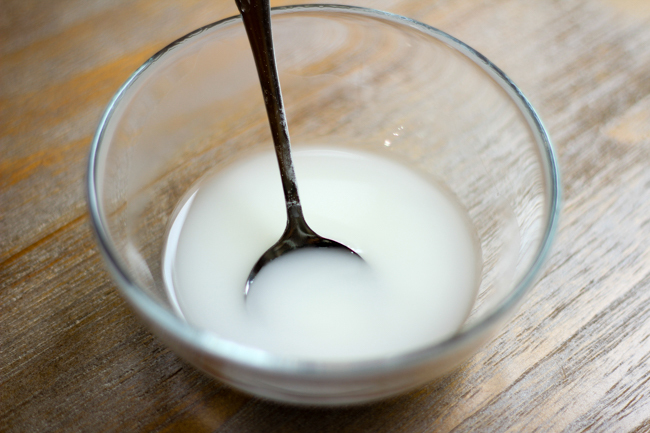 Simmer for 1 or 2 minutes over slowest fire; add water starch and continue cooking until the sauce is well thickened. 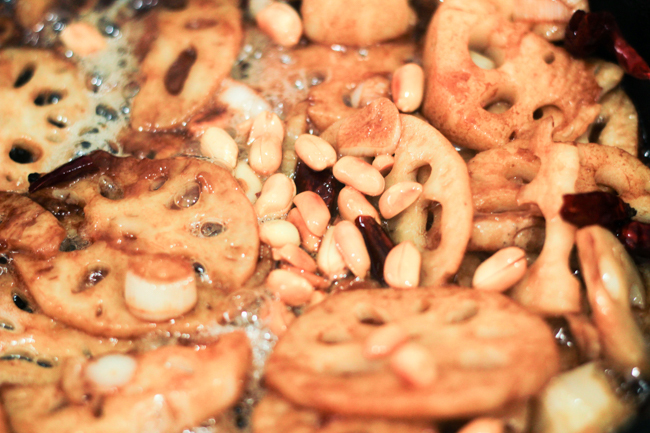 Add toasted peanuts and give a big stir-fry to mix everything well. This was amazing !!! We didn’t have many lotus root so we added a package of mung bean sprouts to fill in. Absolutely delicious. 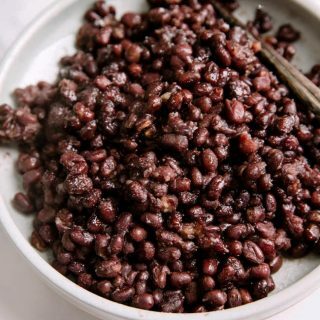 We typically don’t eat meat so to have a Sichuan dish that vegetarian is even better!! 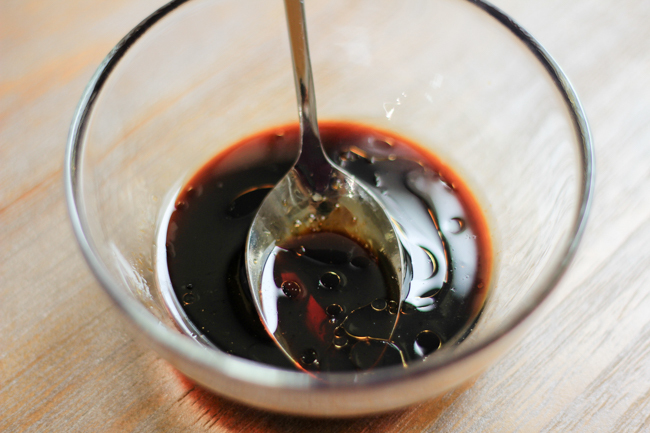 I’ll use this sauce /technique again for stir frying veggies when I want to make them spicy and delicious. I agree that vegetarian and vegetable Sichuan dishes are even bette than meat, though less famous. Those dishes appear on our daily table frequently. I tried frying up the lotus pods in a similar recipe just to see if they were edible. My Lotus flowers are huge! The Lotus root is quite large. While the flavor was good the texture was very fibrous and inedible. Is it because my Lotus pods are simply so large? I have a very large pond with huge flowers. Do I need to harvest the current flowers to find the more tender pods? There are some smaller flowers (not many) that I could focus on. What do you recommend with the little knowledge of my situation. I would love to share my Lotus with many locals. Maybe my weather is the problem. I live in Bakersfield, CA where hot summers prevail. I am quite sorry that I cannot help with this problem. I asked lots of people around me but they failed to figure this out in details. I have less knowledge about the growing and harvest of lotus plants. this is lotus root. Not the pods or any part of flowers. So. I have a “weird” question. 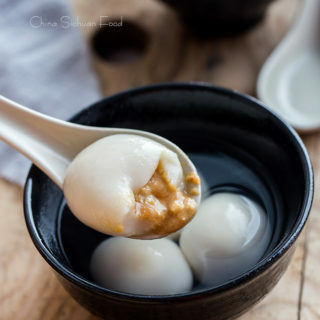 Can lotus root be steamed and therefore made mushy-like? I have tried to smash lotus root, but it sounds possible as long as the lotus root is cooked very soft.